Post Christmas Confessions. There are mine. 1. The past three days have all felt like Saturday. We’ve literally made it a goal to just relax and enjoy the vacation days. The kids have been enjoying their Christmas presents and spending a lot of time just playing. Which is nice considering kids these days don’t seem to have a lot of time to just play, outside of school or the ever constant draw of things that begin with the little letter i. Jeremy and I have been hanging out and zoning out to old episodes of The Office, which amazingly are still funny even though we’ve seen them multiple times. It’s been great, but I think I’m ready for normal life to begin soon. 2. On Christmas Day, I may have worn my pajamas the entire day. Since we don’t have any family in New York, we usually spend holidays just the four of us. And secretly, it’s kind of amazing. Granted, given the choice, we’d be hanging out with extended family, but it’s something that I’ve come to be okay with over the years. Being in ministry, we are around people a lot, so taking a few holidays to just be with our family is kind of nice. 3. Even though we did a pretty good job with the presents this year, it still seems like they are too many. Mostly for our sweet Ellee girl. 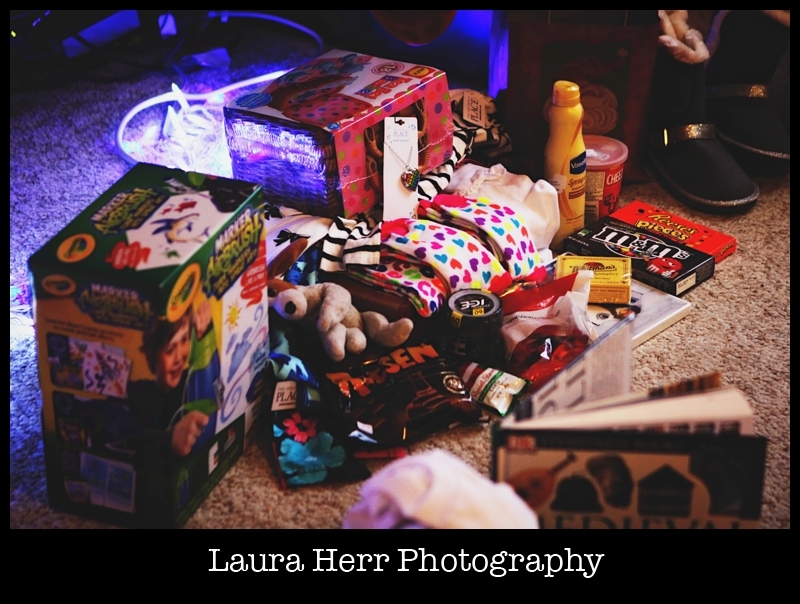 When I tried to walk into her room, but couldn’t because of the Christmas clutter, part of me felt like I failed, but just a bit. It will mostly be a good reason to go in and clear out things that she doesn’t play with anymore. She’s still loving the Polly Pocket World, which is good and most of the pieces have stayed put. 4. I’m trying really hard to incorporate some aspects of learning into our break. It’s good and bad. They weren’t thrilled yesterday, when I sent them both to their rooms for an hour of education time. They complained, but then I reminded them of the fact that they are normally in school for six and a half hours. 5. I haven’t been cooking much. These past few days we’ve enjoyed getting together with friends, catching up for lunch. In fact, after I write this post, the kids and I are heading out to meet up with another friend at the Pearl and I’m super excited. I love eating out because you get to enjoy everything without having to put in the work. Granted, it will be a New Year’s Resolution for me to try to enjoy cooking more, but for now, I’m totally okay with it. 6. And finally, Christmas is over. It was great this year, and I really did enjoy it so much. I loved the music, the Advent readings, the Christmas parties and the activities. I’m loving hanging out and having lots of family time too. But I’m also kind of okay with moving forward. I’m ready for a brand new year with brand new things to enjoy and look forward too. This post is a little silly, but in all reality, I’m so thankful for all that God has blessed me with. I’m loving where I’m at in life and I’m excited to see what God has in store for us this year.